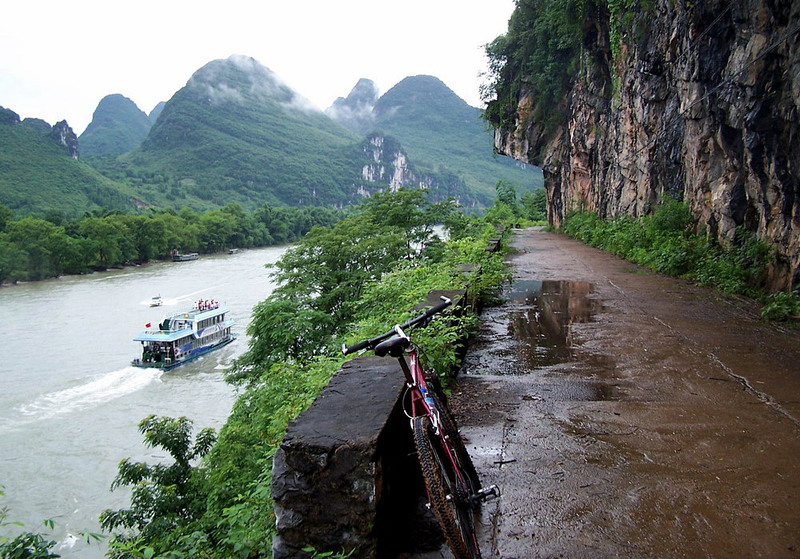 Biking is a most suitable way to travel in Guilin and Yangshuo. 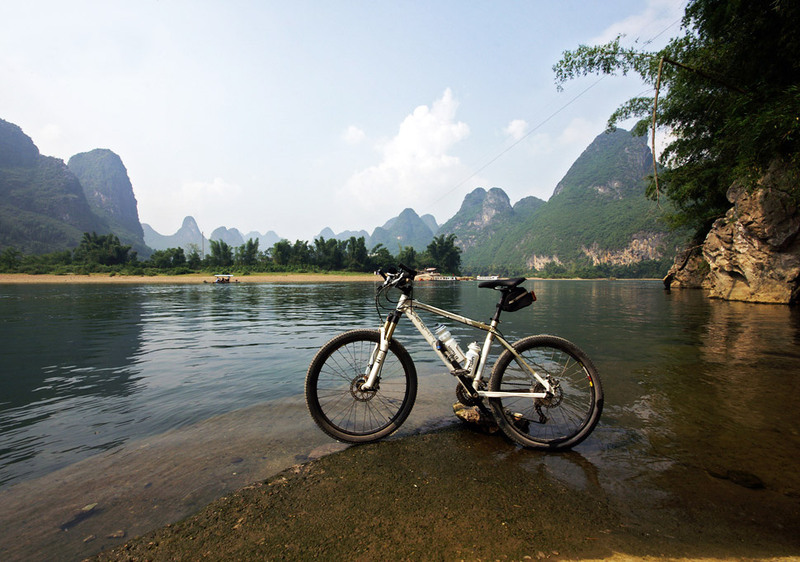 Join us to ride a bike to explore beautiful scenic spots along the Li River and Yangshuo countryside. 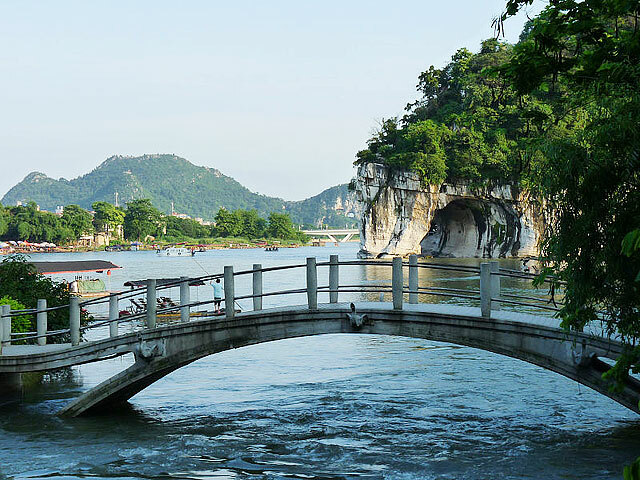 Take a flight from Chengdu to Guilin by yourself. Upon your arrival, our local guide will pick you up at the airport and transfer you to the hotel. Then ride bikes with your guide to visit the highlights in Guilin – West Hill, Elephant Trunk Hill and Yao Mountain. 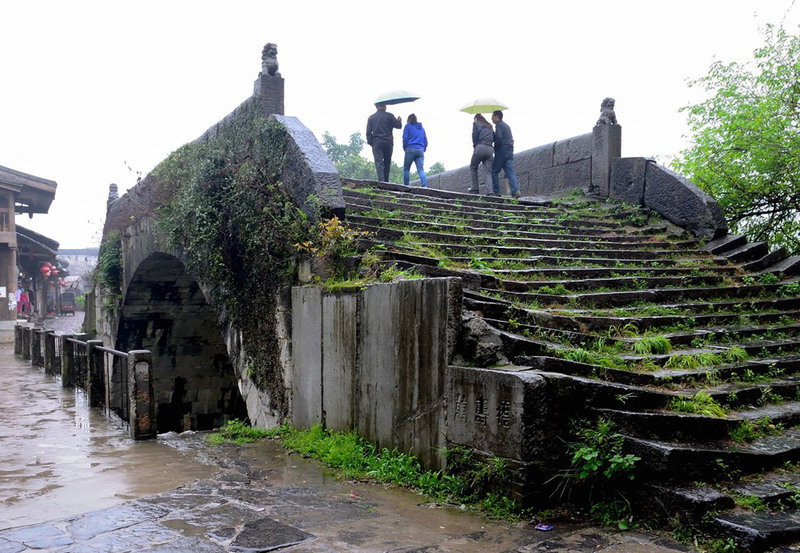 Elephant Trunk Hill is the symbol of Guilin and West Hill is one of the most famous hills in Guilin, but it is always non-touristy and not like the other crowded scenic spots in the town. 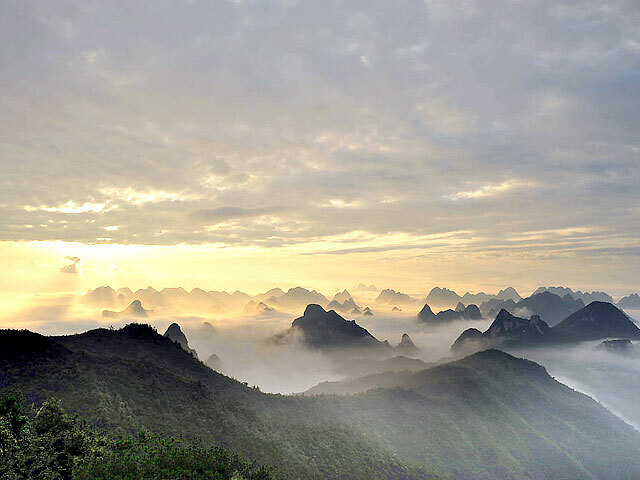 Yao Mountain is the highest hill (903.3 meters above sea level) in Guilin. It offers very different views in each season. You can easily get to the top of it by the 1,416 meters long cable car and get a wonderful view of the peaks and surrounds. Return to your hotel in late afternoon. Dinner is in a good local restaurant where you will have a good chance to try Guilin cuisine. Elephant Trunk Hill is the symbol of Guilin. Check out the hotel in the morning and cycle to Crown Cave, stop to visit Daxu old town on the half way. Taking a walk in a flagstone street which is lined with old residences, shops and stalls, it runs two kilometers along the river bank through the town. 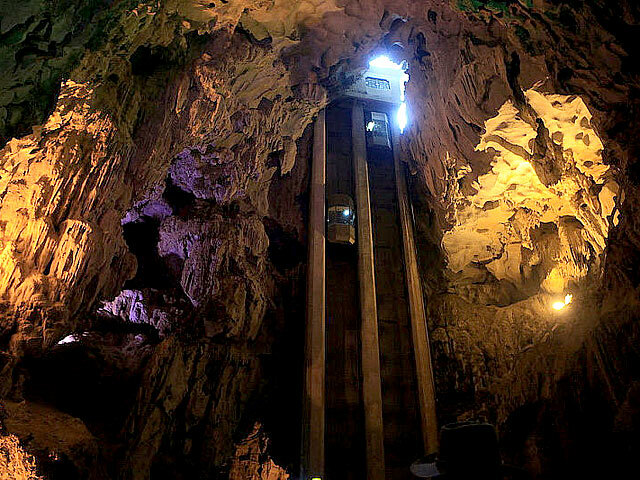 Then proceed to Crown Cave and explore the cave. Stay in Cloud & Mist hotel. Check out the hotel and cycle to Xingping. Today's biking is tougher and more arduous. But this is a very good chance for you to take an adventure to a non-touristy area. You will see the picturesque scenery along the whole way. 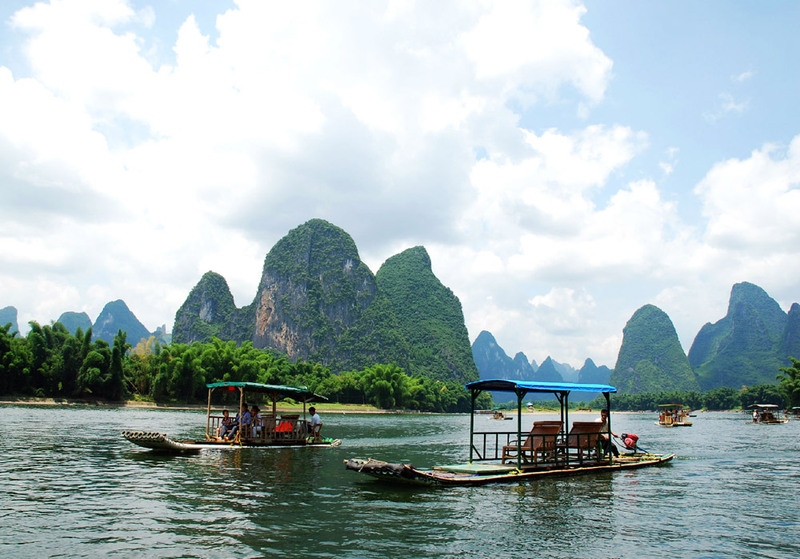 In late afternoon, you will take a boat up and down the Li River for its breathtaking scenery and the sunset. Visit a local fishing village, where were patronized by former US president Bill Clinton and his family in 1998. Stay one night in Yangshuo. The biking today is easy. Peaceful and picturesque farml and will be seen along the way. 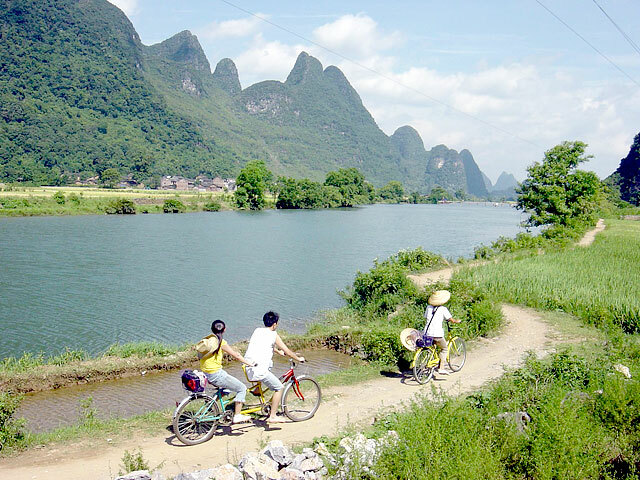 Have several hours easy and level biking – cycle to Yulong River for the beautiful scenery there. Stay one night in Yangshuo. After breakfast, drive to Guilin airport or train station for departure. Service ends. 3. The biking on Day 04 is little harder and more arduous. Some parts of the road are the dirt roads zigzag among the hills. The roads on which you are biking on Day 02 and Day 04 are flat and tar roads.